Affectionately known as the “Blacksonian,” the Smithsonian National Museum of African American History & Culture (NMAAHC) came under fire recently after a Twitter user questioned the appointment of a white woman to curate the museum’s hip hop exhibit. The original tweet was in reference to Timothy Ann Burnside, a specialist in Curatorial Affairs at the museum. What seemed to be a honest question led to robust discussion, with popular Twitter users such as #OscarsSoWhite creator April Reign, Ferguson activist Brittany Packnett, and Grammy-nominated rapper Rhapsody defending her credentials and giving credence to her work as an ally. While a number of discussions surrounding Burnside’s position took place, it was clear the focus was not on her credentials but whether there was a Black person suitable for the role, especially since such positions are few and far between. If hip-hop is a culture—not just a genre of music—then there are nuances that the people who created and lived IN that culture will know that others will not, no matter how deeply they study the content. 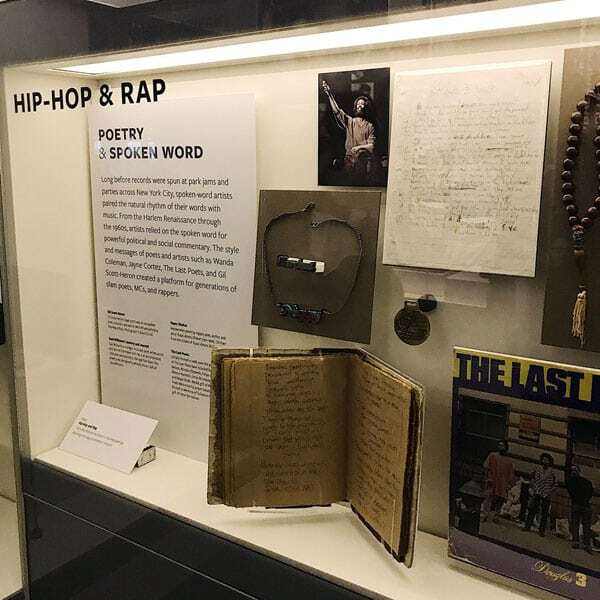 Out of a deep commitment, Ms. Timothy Anne Burnside launched the Smithsonian’s first hip-hop collecting initiative 12 years ago while at the National Museum of American History. Since joining the Museum in 2009, she has also played a key role in building the hip-hop collection as part of a larger curatorial team. Dr. Dwandalyn Reece, the curator of music and performing arts, leads that effort. We are proud of their work. The statement also notes the lack of African Americans in curatorial positions and their current efforts to address the issue through paid internships and fellowships. Since then, the museum has released a feature article highlighting Black curators at the institution in addition to some of the current initiatives it is undertaking in DC public schools to encourage more people of color to consider careers in museums. One thing of note in this entire fiasco was the seeming lack of concern regarding the optics of appointing a white person to what is considered one of the largest institutions focused on African American history in the country. Since its opening, NMAAHC has experienced record attendance, with more than 3 million visitors having walked through the 400,000-square-foot building. In a field that is constantly reinventing itself to remain relevant to a changing demographic, it’s surprising that the museum did not take extra steps to introduce the public to Burnside’s work. The museum’s oversight may make people wonder about its commitment to stakeholders and question who it actually considers its stakeholders. In an act of transparency, maybe they should take a note from the Cleveland Museum of Art, which recently released its strategic plan explicitly detailing how it intends to engage the community—not simply through attendance, but through hiring decisions, selected curated art, and organizational policies. Since opening in 1998, this black art, history, and cultural institution has been shuttered twice. Will its reopening this third time be the charm?